Power supply: 350mAh Li-battery, Longer standby time. ♛ Built-in Altimeter/Barometer/Thermometer to help you make a nice adventurer trip. ♛ Call / SMS ☏Notification from Facebook, Twitter, Whats app and so on. The screen is a little dark on the sunlight ,Please read the screen in the shadow .The Built-in GPS can only use on the sports mode of running ,mountain climbing and riding .You should take 3-5 minutes to search the satellite for location . when searching for the GPS ,the icon will flash .Flashing stopping means the GPS satellite location is completed ,then you can see your trajectory on the "Hplus" APP. ✔All-day Activity Tracking: Accurately record all-day activities like steps, distance, calories burned.16 hours real-time continuous heart rate monitor to help you know your health. Accurately and effectively sleep quality analysis helping you adjust yourself for a healthier lifestyle. 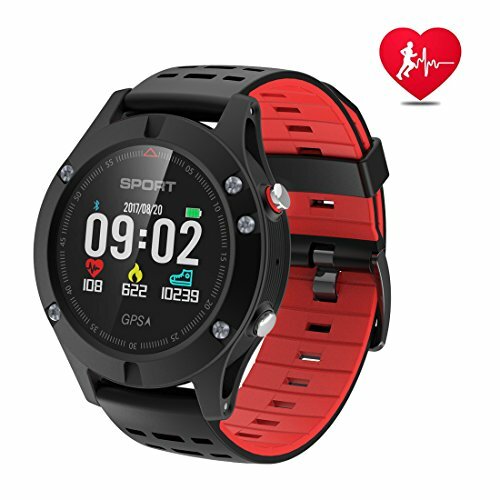 ✔Multi-Sport Modes & Built-in GPS: 8 exercise modes help you better understand specific activity data; Built-in GPS can track your position and trajectory accurately ,and create your unique activity route. ✔ Long-lasting Battery and Life Waterproof: IP67 waterproof allows your washing hands, getting caught in the rain. Full charge requires only 1 hour and lasting working 10days or standby up to 30 days . If you have any questions about this product by DTNO.I, contact us by completing and submitting the form below. If you are looking for a specif part number, please include it with your message.